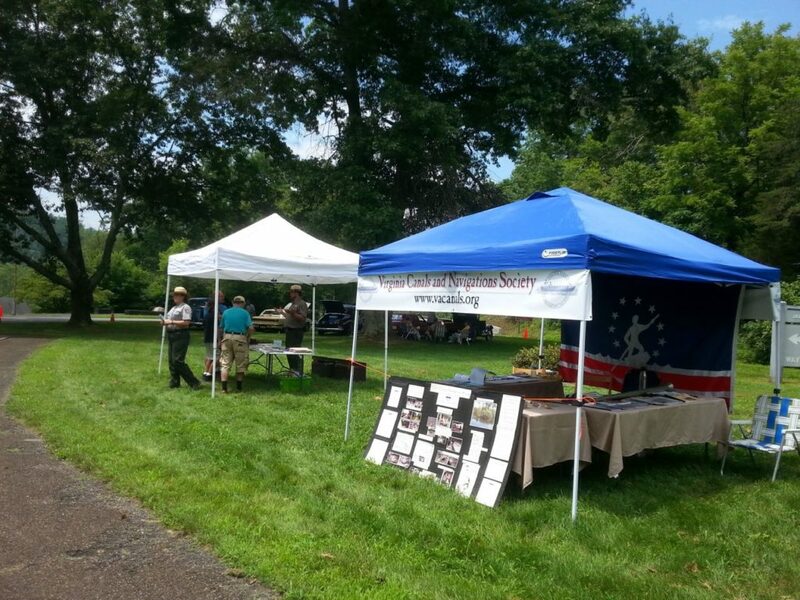 On July 21, 2018, the VC&NS participated in the 7th annual James River Transportation Festival on the Blue Ridge Parkway. This festival, which began in 2012, was conceived of by Peter Hamel, who is the Ridge District interpreter for the Blue Ridge Parkway. His goal is to bring attention to the James River Visitors Center and increase awareness of historical modes of navigation in the area. 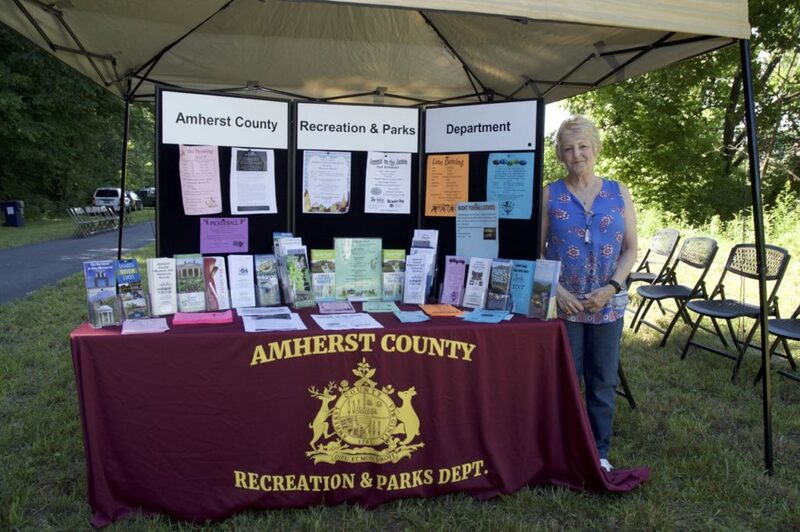 Participants this year included Brian Coffield, Bill Trout, Philip de Vos, Roger Nelson and Randy Waycaster. 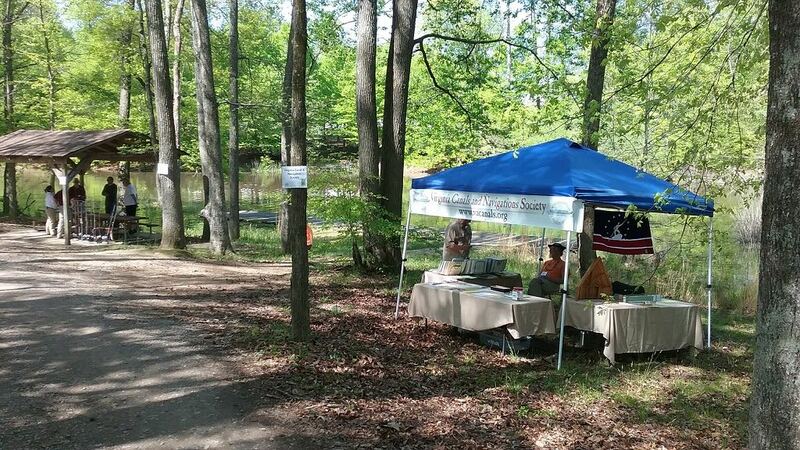 The Batteau Slate River at the 2018 James River Transportation Festival. 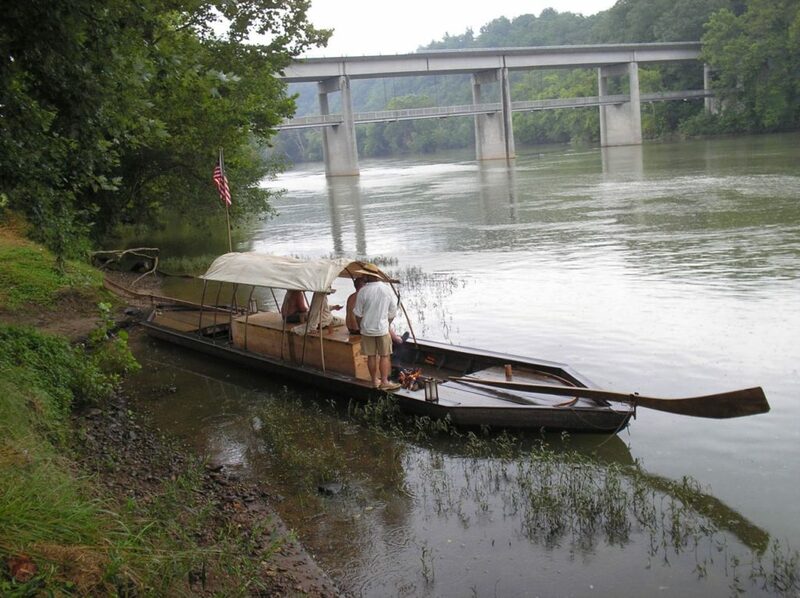 Randy brought the batteau Slate River, which is the centerpiece of the festival, as he has done for the past six years, The batteau sits in the James River within 100 feet from Battery Creek lock and invites festival visitors to come over, climb aboard and explore. There is also a VC&NS exhibit adjacent to the visitors center, where visitors learn about the Canal Society and transportation in the canal system. The beauty of the Parkway and the mountains brings people from all over the world who are eager to learn more about the location and history of the area. The James River is the lowest point on the Blue Ridge Parkway and is a natural passage through the mountains. Prior to being tamed by many dams, the gorge carved out by the river was a formidable obstacle for double dugout canoes and later for batteaux. 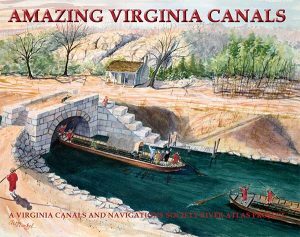 While the first canal with locks on the James River were built in Richmond, the second canal with locks was built for batteaux to navigate through the Blue Ridge gorge. Today, the most complete lock on the James River and Kanawha Canal system is located on the other side of the river from the visitors center. A pedestrian bridge crosses the river right under the bridge carrying vehicle traffic on the parkway over the river. The canal towpath hosts part of the railroad, which immediately veers off and goes to higher ground, leaving the lock intact and part of the Blue Ridge parkway, rather than being part of the railroad. The festival takes place in one of the most beautiful settings, and visitors and participants alike are always taken by the incredible beauty.